Having obtained his PhD degree in Civil engineering from the University of Michigan in 1986, Dr. Chang worked as a professional engineer for the Soil and Material Engineers, Inc. (SME) and then joined the faculty body of the Dept. of Civil Engineering, University of Memphis, Tennessee, USA in 1988. He was promoted to Associate Professor in 1992 with significant achievements in both research and teaching activities. 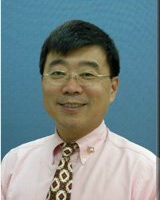 During his tenure at the University of Memphis from 1988 thru 1996, Dr. Chang had supervised 2 PhD students and a number of master graduate students in Civil Engineering, Geography, and Applied Geology. He was a pioneer researcher who first incorporated GIS, GPS and satellite mapping into engineering aspects of natural hazard mitigation programs. During the same period of time, he successfully completed more than a dozen research projects sponsored by the NSF and USGS, which resulted in a publication series of 2 books, 8 journal and more than 20 conference papers. He was awarded the “Outstanding Researcher of the Year” by the CUSEC (Central United States Earthquake Consortium) in 1995. Dr. Chang was invited back in 1996 to teach in his hometown and served a term duty of Chairman of the Dept. of Construction Engineering, Chaoyang University in Taichung, Taiwan. Since then, He also actively involved in advisory and consulting committees in both private and public sectors in Taiwan for geotechnical engineering, earthquake engineering and natural hazard mitigation programs.